Pool was right at your doorstep. Modern accommodation. Kids loved the pool and slides. I loved the pool and outdoor cafe/bar. Excellent position on beach. Oceanview room a must... it was amazing from 9th floor. Pool is great. Enjoyable stay. Mates were like not the tonsley !! After staying there in good accommodation !! Great food !! Top honest staff!! Slept in way past checkout without stress!! Great spit right in a lovely beach. Feels like you are in the country. Close to Flinders Medical Centre and Westfield shopping centre. Good location walking distance across road from Westfield shopping centre at West Lakes. Get the most of your visit to Westfield Marion Shopping Centre by staying in a hotel nearby. Local landmarks allow you to take in the local culture on your next holiday. There is perhaps no better way to enjoy Westfield Marion Shopping Centre than by booking a nearby Westfield Marion Shopping Centre hotel! Whether you are traveling alone, as a couple, or with your entire family, your visit to Westfield Marion Shopping Centre will be a highlight of your holiday – and your hotel should be too! Finding your dream hotel near Westfield Marion Shopping Centre is easy when you search here on Expedia.com.au. Narrow down hotels based on your budget, hotel class rating, or specific hotel themes. 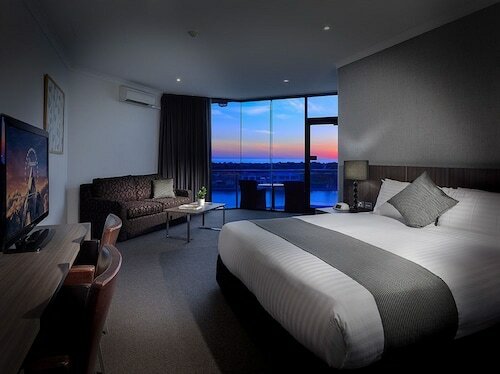 You can always find the best Westfield Marion Shopping Centre hotel for your needs when you book with us on Expedia.com.au.